A trio of stackable custom eye enhancing gel liner that is specifically made to bring out your eye color, as well as last for twenty-four hours. 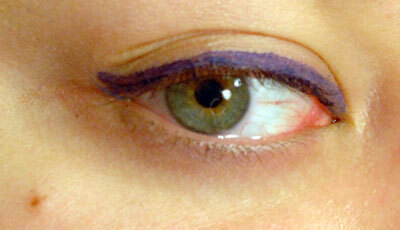 The gel liner not only has a long-lasting formula, but claims to provide easy, precise, glide-on color for your eyes. 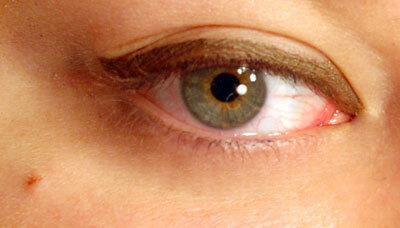 All Physician’s Formula products are hypoallergenic, safe for contact lens wearers, and are fragrance and paraben free. After seeing Physician’s Formula gel cream-liner stacks in a beauty magazine, I immediately put a reminder on my phone to go out and purchase one of the stacks. Gel/cream eyeliners are my favorite avenue for lining my upper lids, and yet so many fail to deliver with an innovative formula. Physician’s Formula does not disappoint with these, delivering everything promised, and more. I personally purchased the green and blue eye trio’s, because they contained the liner colors I wanted the most, however, I intend to go out and purchase the brown and hazel eye ones as well now! Each product is composed of three square gel liners that twist to fit one on top of another, and can twist off to be stored separately. This feature is extremely unique for a drugstore product, and a liner in general, and comes in handy for carrying with you in your purse or makeup bag for touch-ups. The packaging is sturdy and sleek, offering a metallic color coded cap for each liner that corresponds to what trio it belongs to. The stack of three liners fits perfectly in the palm of your hand, and is just slightly longer than your average lipstick, making it easy to store and carry along with you. 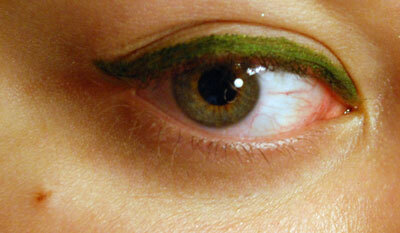 Each trio comes with a small eyeliner brush, which makes it shockingly easy to apply the liner to your eyes. Typically, brushes that come with products get a bad reputation, but the small, dense head of the brush makes application similar to applying an eyeshadow – seamless! The gel is extremely creamy, pigmented, rich, and applied to my lids with no tugging, pulling, or reapplying necessary. Between the brush and the smooth-as-butter formula, I felt as though I was taking a freelance art class while applying my eyeliner;it was stress free and open for creativity. 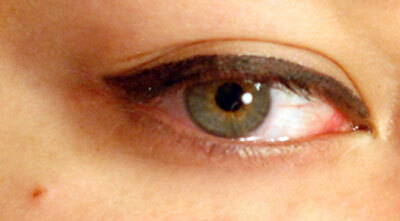 The gel cream-liner lasted on my eyes for a full eighteen hours on my eyelids without any smudging or running. As a contact lens wearer, I enjoy a brand that prides itself on hypoallergenic products, to decrease any sensitivity or reaction a consumer may have. 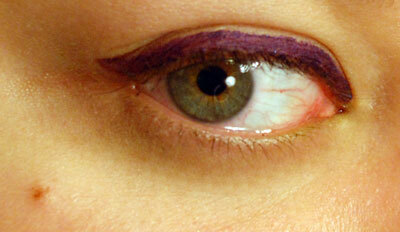 My eyes were itch-free, water-free, and my liner stayed put all day long each time I wore these out. Though each trio is specifically made to enhance and highlight a specific eye color, the trio’s can be mixed and matched, stacked on top of one another, and purchased regardless of eye color. 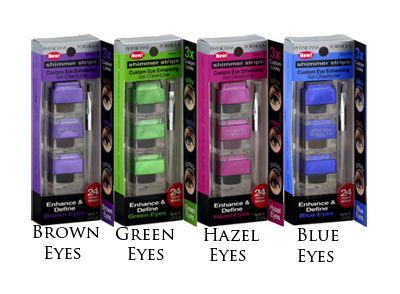 Each stack comes with a “natural” color, a “playful” color, and a “dramatic” color, specific to eye color, which can be viewed on the Physician’s Formula website. Though I personally have blue-green eyes, I purchased the trio’s which contained the liner colors I desired the most (though almost all the drugstores in my area are sold out). 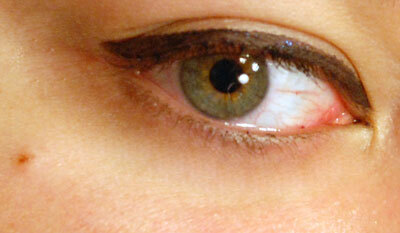 Bottom line: Physician’s Formula Gel Cream-liner’s are an excellent alternative to high end liquid and gel liners. They cost less, come with three different colors, can be stored and stacked easily, and glide on effortlessly for long lasting wear. Physician’s Formula gel cream-liner trio’s retail for $10.99 at your local CVS (brown eyes trio, blue eyes trio, hazel eyes trio, green eyes trio), Kmart, Ulta, Target, Rite Aid, as well as other major drugstores and retailers. Check the Physician’s Formula website for local stores in your area. Physician’s Formula is also offering a “Buy 1 Get 1 Free,” printable coupon if you register following this link.